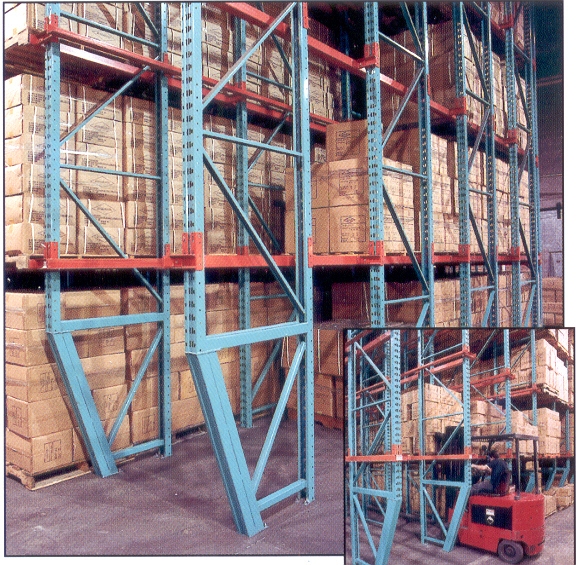 Drive-In racking provides a dense storage solution at an economical cost. Advantageous for low SKU counts, with high activity and pallet in / pallet out movements. Selectivity typically reduced by 90% or more vs. Selective. 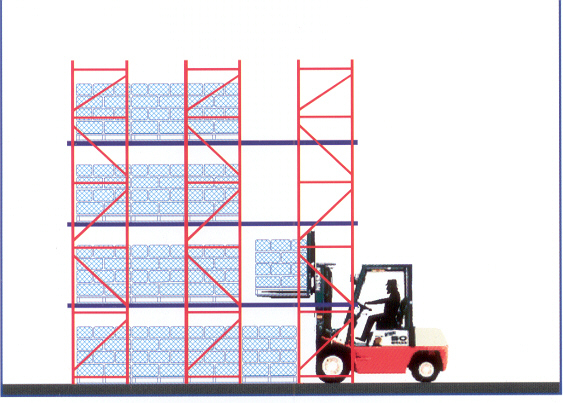 Flexible - typically uses counter-balanced lift trucks. LIFO ( Last in, First out ). Overall storage area can be reduced by about 40% vs. Selective, in a typical 3-deep back to back system.